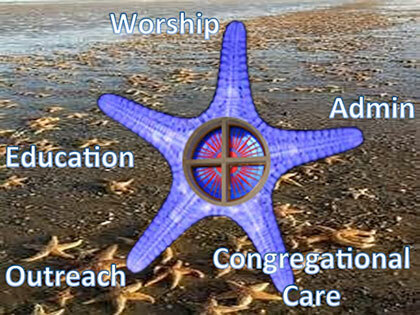 GPC's Starfish Initiative: I Can't Really Make a Difference, Can I? A friend and I were talking about the question, “Why does God allow this to happen?” We were talking about the number of hungry children in the world; why doesn’t God just feed them, send rain or something. I commented that Jesus left the church behind to care “for the least of these” but we are failing miserably. How can we possible expect people to hear the Gospel above the rumbling in their stomachs? Allow me to tell you a story that you have probably already heard. One beautiful summer morning I left my home on the beach front and walked down to the water’s edge. As I walked along the shoreline I noticed a man picking up shells or something and throwing them into the sea. I was somewhat amused by this. The man was walking slowly and I soon caught up to him and walked behind him. I soon noticed he was picking up start fish and throwing them into the sea. Yes, it's an old story, but it illustrates the point that we all can make a difference—in our community, in our nation, in our world. Want to get involved? Send an email to Jim Hamilton.